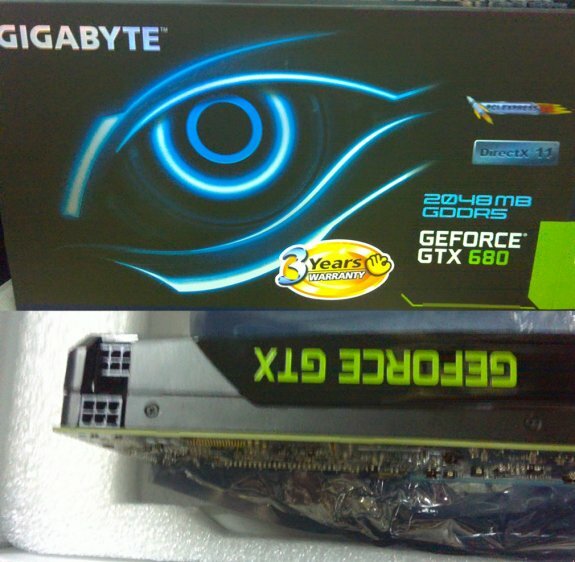 Overclock.net forum member ironman86 published some photos of a GeForce GTX 680 2GB from Gigabyte, he received the card from a supplier of his computer store. ironman86 also provides benchmark figures for Heaven 3.0 and Crysis, you can find all the details in here. 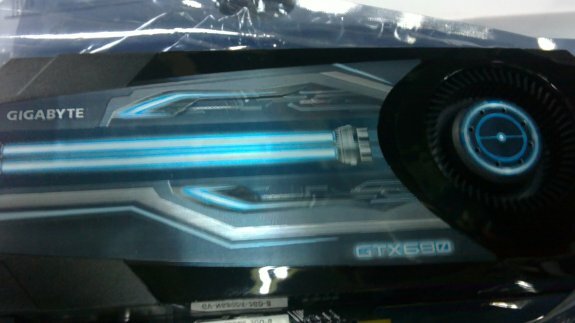 In Heaven 3.0 the GeForce GTX 680 scored 1362 points, while a Radeon HD 7970 in a similar system scored 1365.